When dealing with large financial decisions, clients are often nervous or anxious before they step through your door. Some brokers may be fortunate enough to receive ‘warmed-up’ clients through networks, recommendations or research, but many new clients are already on guard and may treat you with some trepidation. 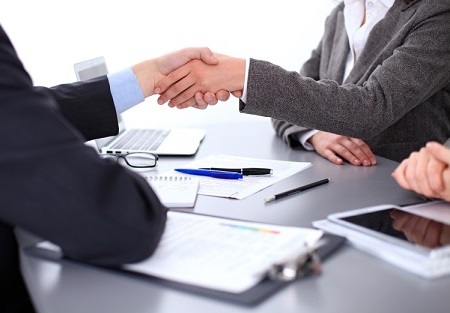 Your ability to make a favourable first impression through a strong personal connection is paramount to getting the deal off to a good start. How a client experiences you in the first few moments of your connection will determine how quickly they will trust you, how hard it will be to fix any potential errors, how forgiving they will be should any occur and how likely they’ll be to refer you. Regardless of whether clients arrive ‘warm’ or ‘cold,’ every new client is won or lost in the first few moments of contact. Your brochures, referrals and social media presence can only get you so far; the real test is when your reputation collides with reality. Within .07 seconds of meeting new people, we unconsciously decide if they are ‘friend’ or ‘foe.’ A look, feeling or gesture can determine our decision. If there’s something about you – your behaviours or mannerisms – that aren’t like me or don’t make me feel comfortable, you become my foe, and my guard goes up. My view of you narrows automatically, and I begin looking for evidence to justify my gut feeling that something’s not right. I become less responsive, more skeptical and harder to win over. As a broker, your job is to steer your clients’ initial impressions and direct their unconscious decisions about you. You need to get into the friend category as quickly as possible before any instinctive impressions negatively (and perhaps unjustly) colour the way they view your expertise. How do you make a favourable impression then impressions are formed so quickly? Let’s explore three key components to getting a jump on the right first impression. If you arrive at a client interview stressed, frustrated, flustered or even mildly annoyed, it will leak out in subtle yet solid ways and affect your clients’ feelings toward you. As much as we have evolved to be rational, logical creatures, we are still very instinctive when it comes to reading people – we sense when there is something going on, and we respond without thinking. When people try to suppress negative emotions, it causes the blood pressure of the other person to rise. If you’ve ever walked into a room when two people have been arguing but stopped before you entered, you’ll know what I mean. Your blood pressure goes up and your chest tightens as you sense something is going on. Your emotions are contagious, and your emotional state creates the conditions for connection – for better or worse. If your client enters the room and you are holding onto frustrations or stress, they will feel it. Before you can say ‘good morning,’ you’re in the foe bucket. The question we ask ourselves (unconsciously) when deciding whether someone is a friend or foe is: Does this person like me? We judge this based on how warm and friendly they appear toward us. Smiling is the obvious first step to showing this; however, not just any smile will do. The key here is to smile with your eyes, not just with your mouth. A genuine smile (or, as psychologists call it, a Duchenne smile) reaches the eyes and causes the orbicularis oculi muscle to contract. This raises the cheeks and forms crow’s feet around the eyes. When we receive a tight-lipped smile or even just a ‘mouth’ smile (which doesn’t reach our eyes), we become steered toward foe. In fact, if we don’t smile at all or smile too late in the initial greeting, we cause people to shut down altogether. When people are faced with a blank or neutral facial expression, they interpret it to be a negative facial expression. And of course, negative means you don’t like me, which means an automatic classification into the foe bucket. TIP: Invite your whole face to the smile party. Looking at someone when you greet them is crucial to making a great first impression. However, the quality and quantity of your eye contact is key. Your gaze must be steady and soft, not shifting, darting or too intense. And there’s more – once your initial connection through the eyes has been made and the talking begins, it’s critical to keep up the same cadence of eye contact when your clients are speaking. This might sound obvious, but not everyone has a natural preference for looking at another person when that person is talking to them. Several clients of mine prefer to listen with their ears by turning their head to the side (appearing to look out the window) as the other person talks. This causes the other person to immediately start shutting down, as they interpret that cue as a lack of interest. TIP: Make eye contact early and keep it steady. Although your client assesses your experience and tries to make a rational, logical decision about the value of your expertise, they are unconsciously steered by their emotional and instinctive interactions with you. Their first impressions, gut feelings and general sense of you will outweigh your history or ability to get the deal done – every time. When choosing between you and another broker, your prospective client’s decision is in your hands – or more specifically, your mood, your smile and your eyes. Anneli Blundell is an author, speaker and communication expert who helps her clients improve their communication, influence and engagement for better business results. She is the co-facilitator of Broker Essentials, a one-day training to fast-track broker development. Her book, Developing Direct Reports: Taking the Guesswork out of Leading Leaders, is a practical guide for developing performance on the job. For more information, visit anneliblundell.com.